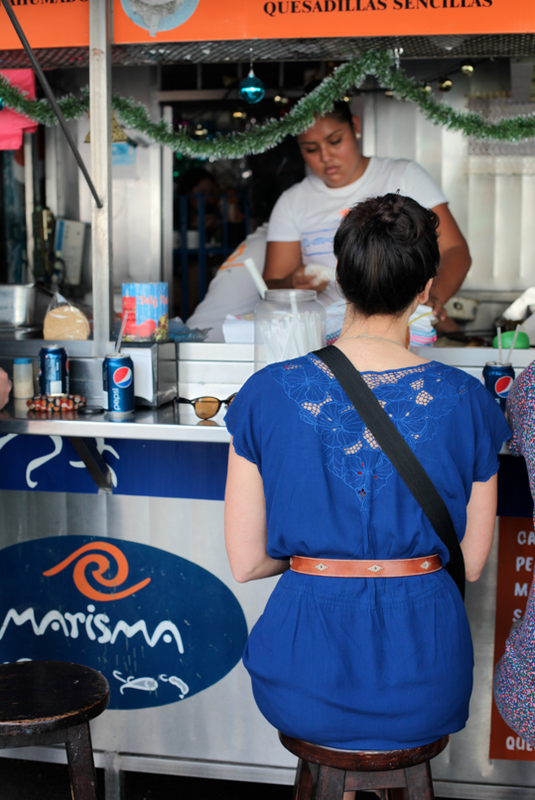 When in old town, Puerto Vallarta, we always drop in on Marisma. 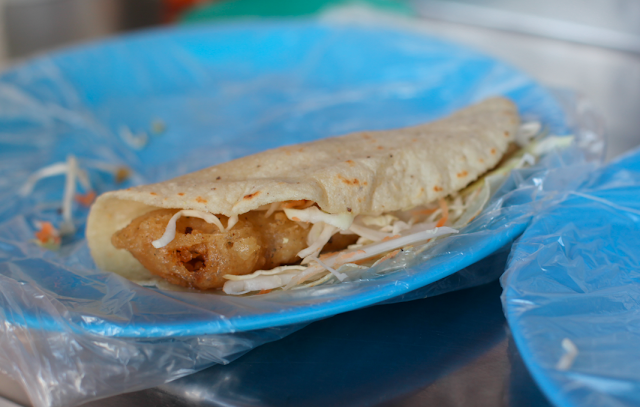 Tucked away on a side street, you will find the freshest and most delicious fish tacos in town. 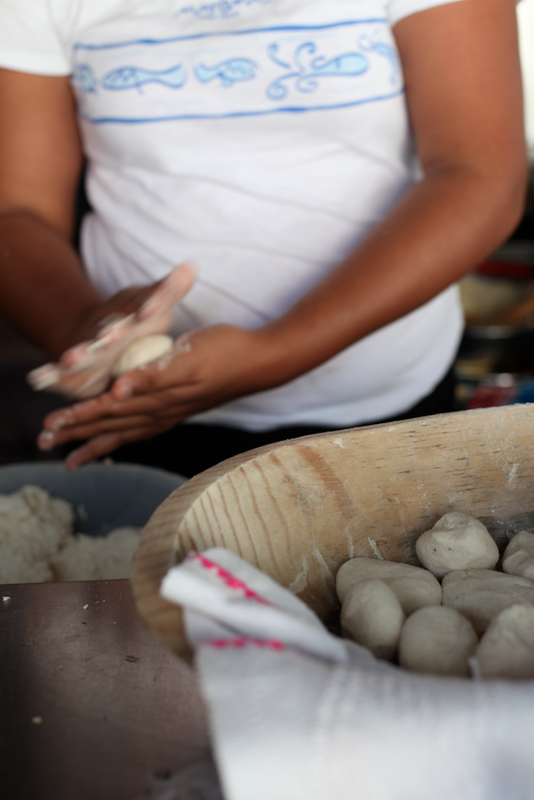 They lightly fry Marlin or shrimp in a beer batter and use only hand made tortillas. 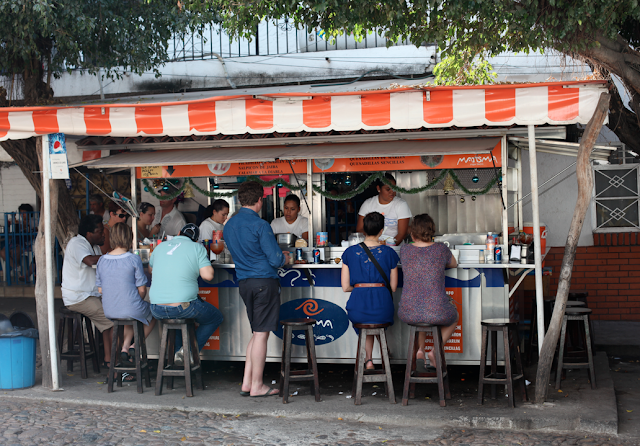 On the bar, they offer 4 salsas as well as a pickled onions in a vinegar tomato sauce. Our favorite sidekick to our taco is the pale green tomatillo salsa blended with avocado. 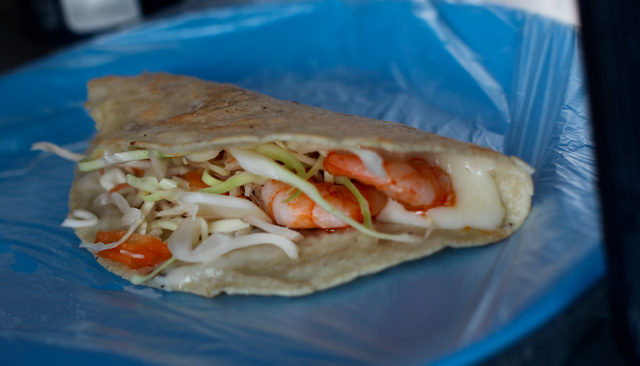 Marisma Taqueria — 320 Calle Naranjo, Puerto Vallarta, Mexico. 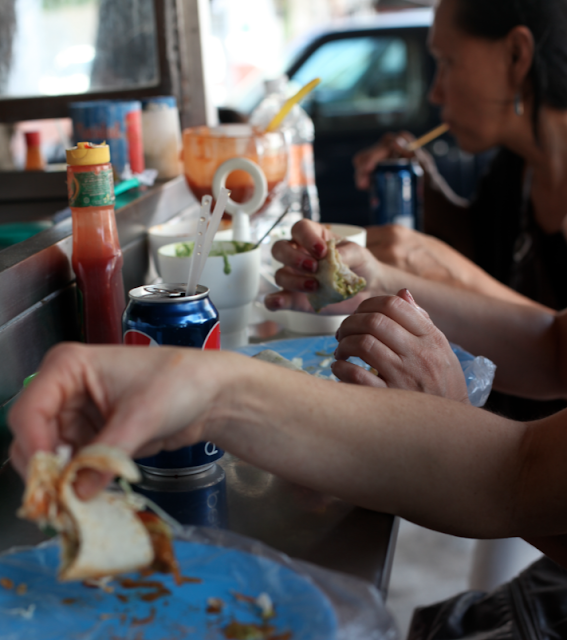 Telephone: 52-322-222-1395. Open during daylight hours.